Xiangdong Xu is a researcher at division of electric power engineering. 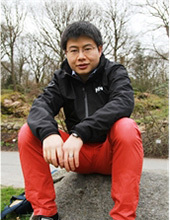 His research activities concentrate on development of various measurement techniques for dielectric material characterization and digital high voltage diagnostics. The aim is to develop and promote accurate, fast and reliable measurement techniques in applications ranging from advanced dielectric material selections to on-line diagnostic of power components, for future electrical power systems based on high voltage direct current technology, HVDC. Xiangdong Xu is also actively involved in CIGRE and IEEE technical study committees & working groups on dielectric material characterization technique, nanocomposite materials in application of electrical insulation. Det kan finnas fler projekt där Xiangdong Xu medverkar, men du måste vara inloggad som anställd på Chalmers för att kunna se dem.